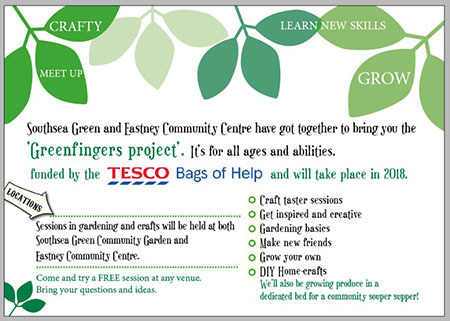 Southsea Green and Eastney Community Centre have got together to bring you the 'Greenfingers Project'. It's for all ages and abilities. 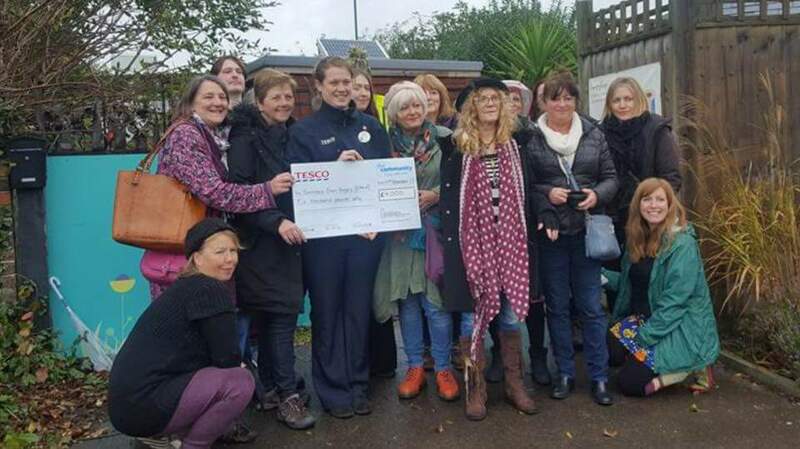 Funded by the Tesco Bags of Help and will take place in 2018. Come and try a FREE taster session at any venue. If you have got any ideas for a workshop, we'll do our best to find an expert to run it. We'll also be growing produce in a dedicated bed for a community souper supper! "Like our Facebook page for details of upcoming workshops for 2018. There will be limited spaces, so please book early to avoid disappointment once the sessions are announced." Do you have a creative talent that you’d like to teach to others? Are you good with people and patient with beginners? We are looking for self-employed crafters and teachers, to hold small interactive taster skillshops in 2018. These fully funded workshops will be held in the Southsea area and should be an introduction to crafts or basic skills, designed to get people started and discover their passion for creativity while making new friends. 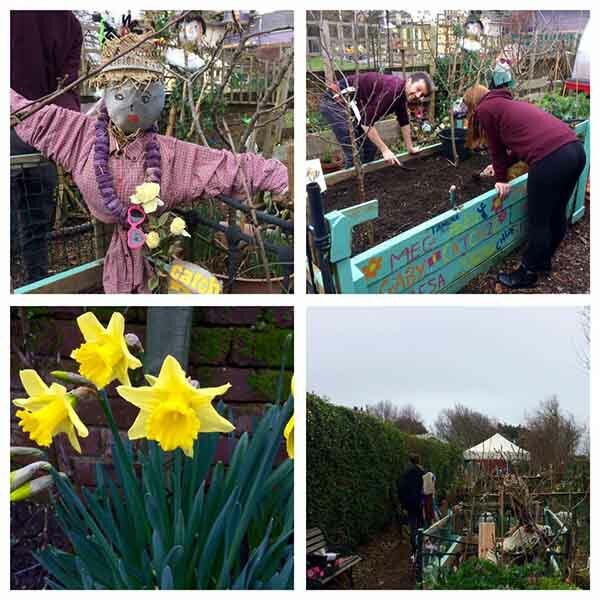 All crafts considered including gardening, knitting, bicycle maintenance, cooking, etc, so pitch us your passion. If you have something to share and this is for you please contact Peta Sampson with your skills and to arrange a chat.